No doubt a high school coach’s role is multi-faceted. You must develop a training plan, implement that plan and read how a group of ever-changing adolescents adapt to that plan. You have to be a counselor, confidant, and inspire. Through his seventeen years Coach Lee has been through it all. 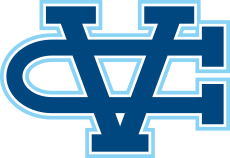 Since joining Valley Christian in 1995 he has seen the team grow from only two boys who showed up the first day, to a team that has out grown the banquet hall and has contended for a State spot every year the past decade. In his tenure he has seen seven individual CCS Champions, four WCAL Champions, and the Warriors qualify for state as a team six times. In 2000 he coached the team to top CCS Scholastic honors and a few years later saw Jennifer Bergman finish in the top 10 all four years and qualify for the Footlocker National Championship. Still for Coach Lee it is not about the winning or losing, it’s about building character. “It’s not about me, it’s about God using me to guide kids through His glory,” Coach Lee said of his successes the past seventeen years. At the core of Coach Lee’s philosophy is that you cannot have influence on people you don’t have a relationship with. Building these relationships is a huge part of his coaching that has had a lasting impact. An example of such influence is the reason Coach Lee was recognized as the CCS Honor Coach: his former athletes nominated him for having such a long lasting impact on their lives. Coach Lee is a husband and father of two who had to reduce his coaching duties a couple of years ago to help his wife combat cancer (successfully) and focus on the needs of his family, but his impact is still heavily felt. Leading the team devotions this season Coach Lee’s role as a support coach had a huge impact on the Warriors. His wisdom echoes from his years of experience and his weekly devotion is what the athletes often say is what helped them through the rough times in the race and in life. So what is it that keeps him coming back for more?